We are honored and excited to announce the launch of our new video workshop, Patterns of Being: Where the Narrative Enneagram Meets Integral. Recorded during one of Helen’s Palmer’s rare live teachings in Boulder this past spring, this 9-hour workshop helps to awaken the ancient wisdom of the Narrative Enneagram in your own life while enriching it with the unique insights and perspectives revealed by the Integral approach. The Narrative Tradition promotes an open exploration of each personality type. In Helen’s view, there is no better way to explore, learn and teach than through this interactive method of panel interviews. Through a sophisticated inquiry method, the Narrative Tradition demonstrates the types, their struggles, dilemmas, strengths and separate paths of development. The types continuously teach us about themselves at ever deepening levels of awareness, and we learn from exploring with them. Helen has devoted her life to bringing the spiritual depth of the narrative tradition of the Enneagram to the rest of the world. Here is your opportunity to enjoy the powerful wisdom and unique transmission of her teachings from the comfort of your own home. People learning the Enneagram often reduce the Enneagram to a description in a book. If we are to carry the Enneagram forward in an integrative fashion, we must invite people into their own interiors so they develop competent observational skills and we must invite them into experiences of hearing from other people who occupy other types. The Narrative Tradition is so effective in teaching the Enneagram because it has a rather strong leg in three of the four quadrants. (Remember, the quadrants are important because they are there and they point us toward what is missing in using this tool in our lives). Helen Palmer has been unique in bringing forth states of consciousness as crucial in her Enneagram teaching. As a teacher of intuition (which recognizes reality without the distortion of type), Helen recognized type-related obstacles and openings to direct spiritual experience and access to higher states of consciousness. Her Inner Observer teaching cultivates witnessing consciousness, which is a tier that can move us towards “causal” or unitive consciousness. The Narrative Enneagram also recognizes the power of the collective field of WE in developing psycho-spiritual maturity. Something often happens to the subtle energetics of a room when we are watching a panel. There is an opening in the “field” in which people expand their field of awareness and the field of compassion. This expansion challenges and loosens tightly held worldviews, which engenders a growing capacity to evolve to different stages of behavioral, cognitive and emotional development. 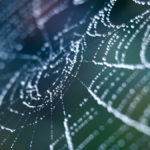 Patterns of Relating is Helen Palmer’s followup to the widely acclaimed Patterns of Being web course. You will learn through the personal stories of the participants how these patterns show up in real life interactions, and how to develop healthy responses to the even the toughest relational situations in your life. It helps you and your loved ones to see more of each other, to bring more of yourself to your relationships, and to ultimately close the imaginary gaps that keep you separate from those around you. Includes an additional 8 hours of material, separated into 32 easy-to-follow lessons — that’s 17 hours of teachings, panels, and practices altogether.